Currency traders buckle up — the two biggest currencies in Europe are facing a volatile couple of days, with a trio of political events poised to shove both the euro and pound sharply lower. Sterling GBPUSD, -0.0872% stands in front of the first possible risk, when U.K. Prime Minister Theresa May on Friday lays our her much anticipated vision for her country’s post-Brexit relationship with the European Union. The speech comes against a frosty backdrop in London-Brussels relations, after May flat out rejected the EU’s draft version of the Brexit treaty released on Wednesday. The premier may respond with a hard line on the breakup in her Friday address, and that could whack the pound. The pound traded at $1.3753 on Thursday, having lost 1.5% so far this week and fallen 3.6% over the past month. Just back in January, the U.K. currency topped $1.42 to trade at the highest level since the EU referendum in June 2016, but the murky divorce talks are making traders nervous. The draft Brexit treaty from the EU this week is seen as making the divide between the U.K. and the trade bloc even bigger as they try to negotiate an agreement. There are two key issues: 1) Brussels wants the U.K. to follow EU law during the yet-to-be-agreed transition period or the Brits won’t keep access to the single market. 2) Reviving the issue of the Irish border, the EU proposes a “common regulatory area” — in effect keeping Northern Ireland in the customs union — if no other agreement can be found. Both ideas are nonstarters for May and hard-line Brexiteers in her cabinet. The Irish border issue in particular is angering Northern Ireland’s Democratic Unionist Party that is a linchpin for May’s government. Chatter about a possible U.K. general election this year is making the rounds. According to bookmaker Paddy Power the odds of that happening have shortened to 2/1 from 3/1, implying a 33% chance of a vote in 2018. 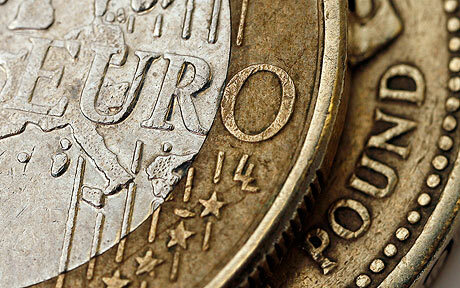 Meanwhile, politics in the eurozone could also cause euro EURUSD, -0.0984% traders a headache this weekend. On Sunday, the Italians vote in a general election flagged as having the potential to upend financial markets and spark political turmoil if populist, euroskeptic parties win and form a coalition. On the same day, Germany’s center-left Social Democratic Party announces the result of its vote to decide whether to join a grand coalition with Chancellor Angela Merkel and her center-right Christian Democratic Union, possibly ending five months of political uncertainty in Europe’s largest economy. Powell is due to make his second Capitol Hill appearance on Thursday at 10 a.m. Eastern Time. In his maiden testimony as the new central bank boss on Tuesday, Powell spooked markets with hawkish comments that fueled speculation of four interest-rate rises in 2018, and not three as rate setters have previously indicated. Post summary: Currency traders buckle up — the two biggest currencies in Europe are facing a volatile couple of days, with a trio of political events poised to shove both the euro and pound sharply lower.